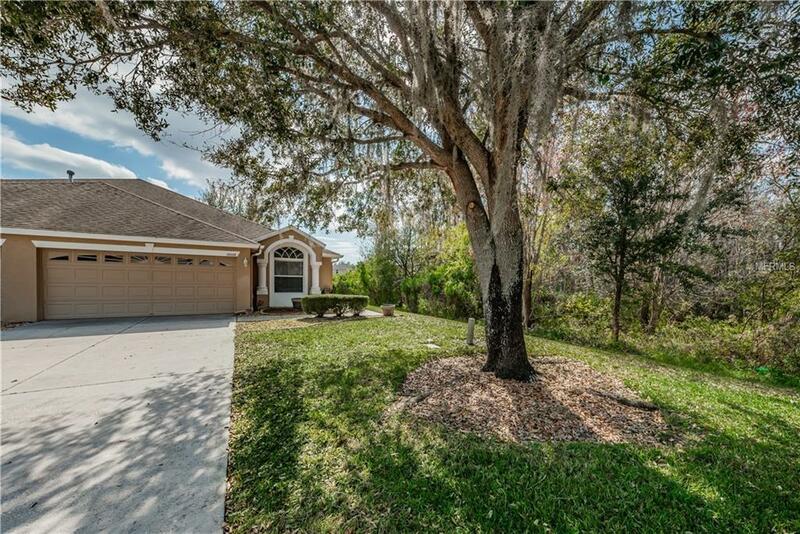 This MOVE IN READY, 2 bedroom W/Den, 2 bathroom, 2 car garage villa is an end unit with pond and conservation view located in the MAINTENANCE FREE, GATED, community of Tanglewylde in Oakstead. From the moment you arrive you will appreciate the love and care of this very well-maintained villa with AMAZING curb appeal. 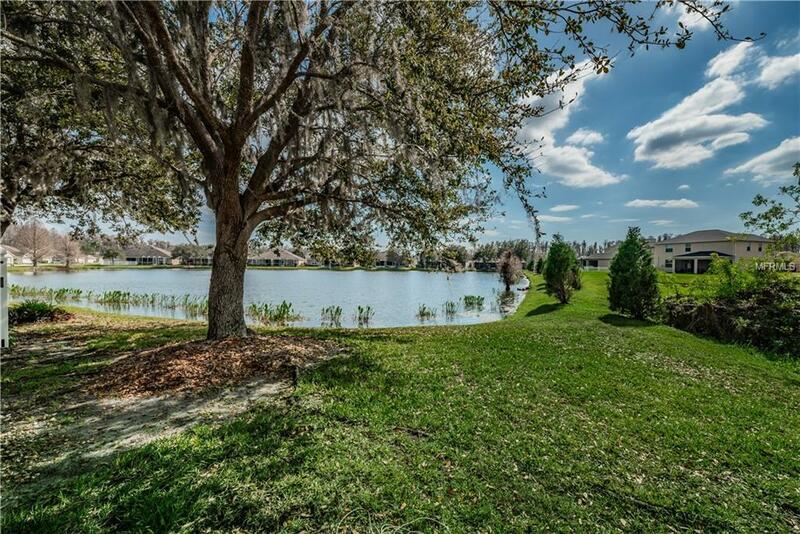 From the eat in kitchen with granite counter tops to the living room and master bedroom, you will have stunning views and sits just inside the community on the cul-de-sac so no through traffic. 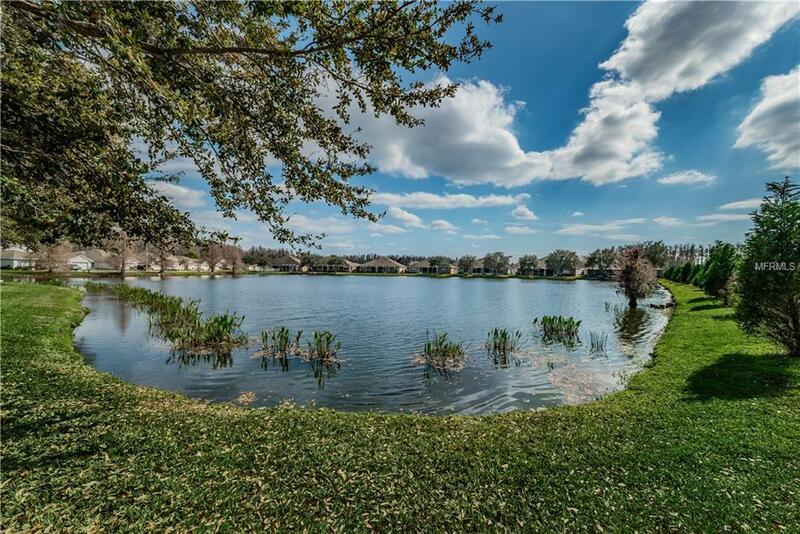 The spacious master suite has a large shower, double sinks, large walk in closet and also has stunning views of the pond and conservation. The second bedroom sits in the front of the villa looking out into the conservation area and also has a walk in closet. Recent updates and improvements include kitchen and bathroom faucets, light fixtures, interior paint and the garage floor epoxy painted. This community maintenance fee covers the exterior painting and maintenance, lawn care, reclaimed water irrigation system, the roof and allows you to spend your free time enjoying the amenities at the community clubhouse which includes 2 community pools, fitness center, play areas, open fields, volleyball, tennis, and basketball courts. 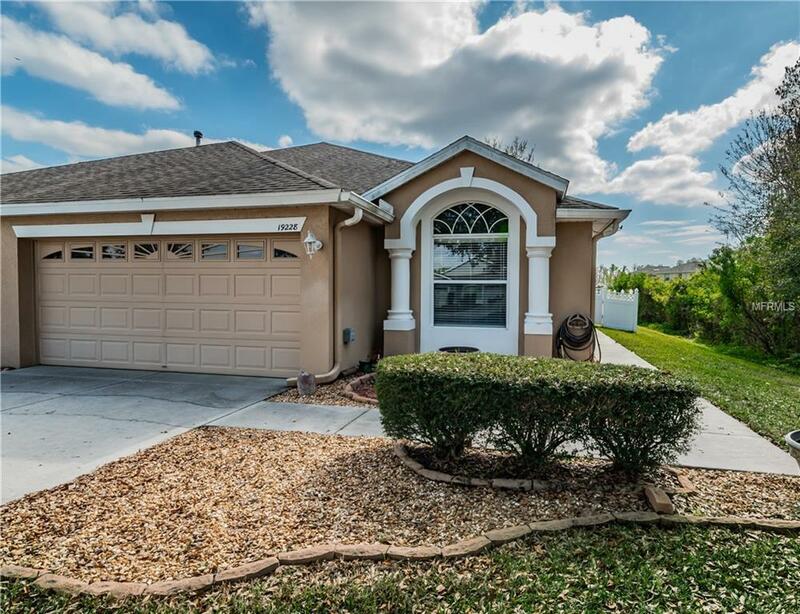 Great location close to shopping, restaurants, the new outlet mall, and Suncoast parkway.